One of the best kept secrets Cuba has are its authors. Over the past 50-odd years, since the beginning of the embargo - there have been few Cuban artists, writers, musicians and others of cultural importance to have been lucky enough to reach people a mere 90 miles from their shores (there was even a debate in congress once whether or not to include even translating Cuban writing as part of the embargo). But few have made their way into English speaking readers hands. 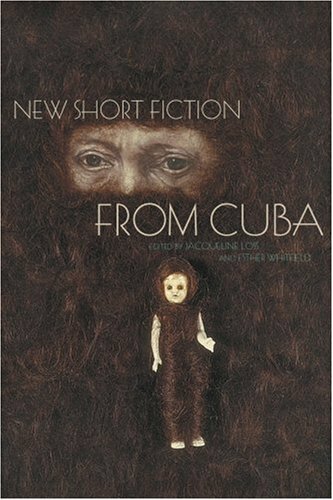 The anthology New Short Fiction From Cuba attempts to remedy this. It is a collection chock full of brilliant writing - everything from the modern and experimental (alá Guillermo Cabrera Infante and Reinaldo Arenas), to the Cuban baroque in the style of Jose Lezama Lima and Alejandro Carpentier. However none of these authors appear in this anthology, since they are well known to the American audience. Instead, it focuses more on the better known Cuban authors who aren’t so well known in The United States, some of whom are translated for the first time. What separates this anthology from the others is its willingness to look beyond the usual tropes American publishers look for when publishing writers from Cuba. 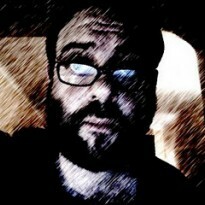 These are the writers who may approach the same subjects but do so in a more subtle and symbolic way. For instance, the brilliant story by A Maniac In The Bathroom by Ena Lucia Portela, concerns itself with voyeurism and surveillance via a woman spying in on a man masturbating in a library bathroom; the regimentation and de-individualization of young recruits at a military school in Alejandro Aguilar’s Landscapes of Clay; the imagined conversation between a writer and Ernest Hemingway as tourists make their way through his old Cuban home (now a museum) in Alberto Guerra Naranjo’s Finca Vigia; the sense of desolation and isolation as a young Cuban traveler journey’s through China in C.A. Aguilar’s Journey To China; or in the dystopia of Eduardo del Llano’s You Know My Name which concerns itself with a writer who is deemed an essential “non-person” by refusing to obey an edict that he no longer write under his own name. But the best story in this collection, by far, is Leonardo Padura Fuentes’s Puerta de Alcala, a story about a Cuban journalist, who because of some unnamed impropriety, was sent to cover war in Angola. He receives permission to have a stopover in Madrid on the way back to Havana so he can see a Diego Velazquez exhibit at the Prado. He decides he wants to do this after finding a used program of Velazquez’s paintings in an Angolan bookstore, complete with notations of the young woman who previously owned it. Enchanted with this unknown woman, he decides that he will use her as a character in a book he intends to write - the one book he had been trying to write his whole life. His boss arranges it so he gets permission for his Madrid stopover and while there he experiences a sense of freedom he had never felt before. By chance, he runs into a childhood friend who had defected from Cuba some years before and their interaction and conversation perfectly reflects the angst and anxiety many Cubans feel about lives back home. There is so much depth, so much emotional heft in these twenty pages that many can hardly achieve in a full length novel these days. I was stunned that this was a short story. Absolutely brilliant and inspiring and one story I’ll never forget. If you’re looking for authors from Cuba who are a little off the beaten path, then you can’t go wrong with this collection. A stunning collection of short fiction, no matter what its country of origin.